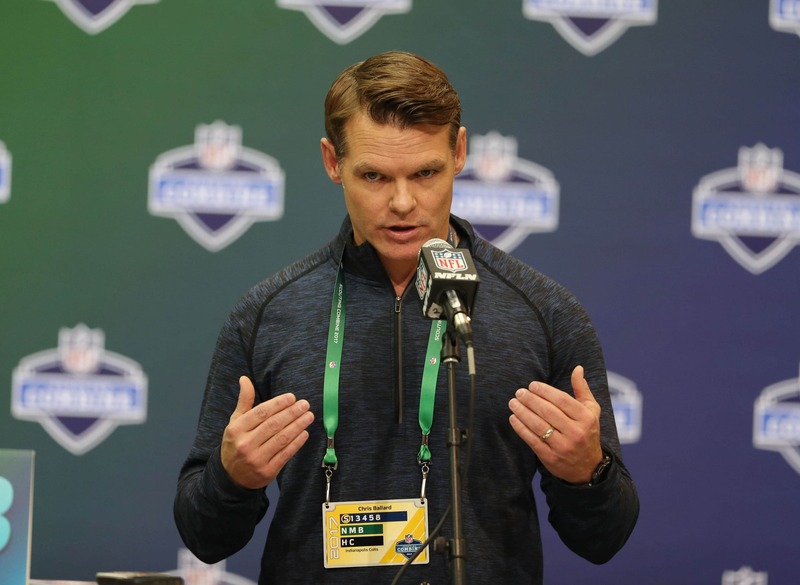 The NFL world was thrown for a loop early Saturday morning when the Indianapolis Colts announced that they had traded the third overall pick in next month’s draft to the New York Jets. The deal nets Indianapolis the No. 6 selection and three second-round picks (two in 2018 and one in 2019). Needless to say, this was a heavy price for the Jets to pay. They’re obviously now looking to go quarterback with that third pick. In this, the entire dynamic of the 2018 NFL Draft has changed on a dime. Here’s a look at the biggest winners and losers from Saturday’s blockbuster trade. Clearly not in the market for a quarterback with franchise signal caller Andrew Luck returning from injury, Indianapolis was in prime position to move down from the No. 3 spot. General manager Chris Ballard and Co. did just that, taking advantage of a quarterback-needy team in the process. By moving down just three spots at the top of the 2018 NFL Draft, Indianapolis picked up the 37th and 49th picks in this year’s draft as well as a second-round pick in the 2019 draft. That’s a whole lot of draft capital. There’s also a lot Indianapolis can do with these three selections. Some have noted that the team might decide to trade down even further, acquiring more selections in the process. But as of now, Indy has the sixth pick as well as three of the first 17 picks in the second round. It’s enough for the team to think about moving back up into the first round with a couple of those selections. In any event, the Colts seemingly have endless options in the 2018 NFL Draft. Cleveland is almost certainly forced to take a quarterback at No. 1 overall now. It had been trending in that direction with rumors of Saquon Barkley going at the top of the draft dwindling. But now, there’s really no other direction the Browns can go. In reality, the only other option is using some of its draft capital (three second-round picks) to move up from No. 4 to the second pick with the Giants. Even then, that wouldn’t necessarily make a whole lot of sense. We have Cleveland in the loser column here because another team forced its hand at No. 1. That’s pretty much not an ideal situation for a rebuilding squad to be in. Though, it could very well help GM John Dorsey and Co. in the long run. For the first time in nearly two decades, it looks like three quarterbacks are set to come off the board with the first three picks of the 2018 NFL Draft. In no particular order, that likely includes Baker Mayfield, Josh Rosen and Sam Darnold. Heck, Wyoming’s Josh Allen might also be in the conversation. As has been noted, this is a top-heavy draft at the quarterback position. And it now looks like the draft itself will play out this way. Interestingly enough, it might also push other quarterbacks into the top half of the first round. Buffalo moved up from the 21st selection to 12th overall with Cincinnati in the Cordy Glenn trade last week. Will the team now look to move up beyond the Jets to No. 2 with the Giants? It’s a real possibility given that the Bills boast two picks in each of the first three rounds. Another intriguing team to look at here are the Arizona Cardinals. They just signed the injury-prone Sam Bradford and are going to look quarterback in the first round. Do the Cardinals move up? If not, are the likes of Lamar Jackson and Mason Rudolph now seen as top-20 picks? A lot was made of this Penn State product potentially going No. 1 to the Browns. That’s no longer really an option. Instead, the high-water mark for Barkley in the draft has to be the New York Giants with the second pick. If that doesn’t come to fruition, we could actually be looking at a rather substantive fall for this dynamic back come April — potentially to the Colts at six or Buccaneers with the seventh pick. Of course, that’s if both teams decide to keep their selections. Based on other teams making dramatic trades to add franchise-caliber quarterbacks, this could be a real possibility. If so, Barkley himself will fall even further down the board come Round 1. If we’re indeed looking at the first three picks and potentially four of the top-five selections being quarterbacks, those selecting a bit further down in the top 10 will benefit. Taking into account teams that actually have quarterbacks of their own, Tampa Bay, Chicago, San Francisco and Oakland stand to benefit the most. There’s not a single draft expert out there who would conclude that quarterbacks make up the top-three overall players in the draft. Instead, that list likely includes guard Quenton Nelson, defensive back Minkah Fitzpatrick and defensive end Bradley Chubb. This is one of the biggest benefits that comes with actually adding a quarterback of the future. Your options are wide open in the draft. You don’t have to duplicate what the New York Jets did in sending three valuable picks to move up just three spots in the draft. The four teams mentioned above stand to benefit the most here. We focused on this in an article a bit earlier, but it really does deserve to be covered a bit more. New York gave up a king’s ransom to move up just three spots. If the team had been able to land the first pick, we would have understood this trade a bit more. 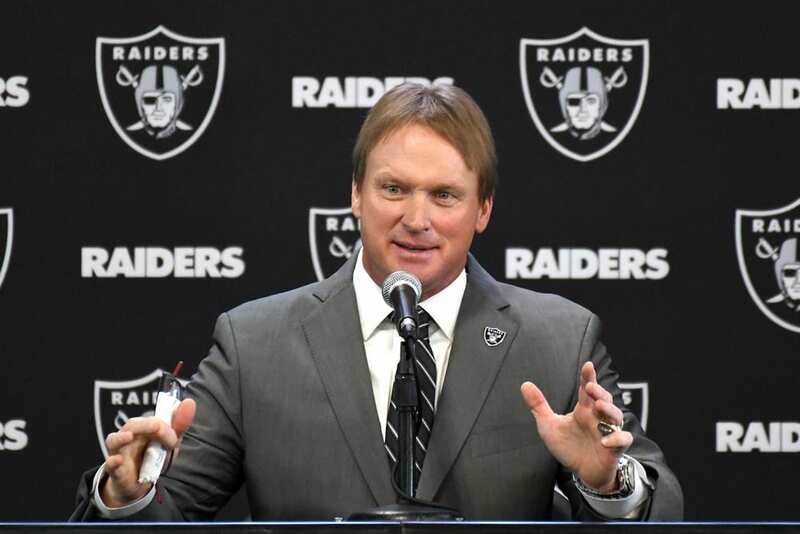 Instead, it’s going to be reliant on what the Browns and Giants do with the first two picks of the draft. If each goes quarterback — as expected — the Jets would then be selecting a signal caller that two teams passed up on. This comes after the team spent a pretty penny to retain Josh McCown and sign Teddy Bridgewater. 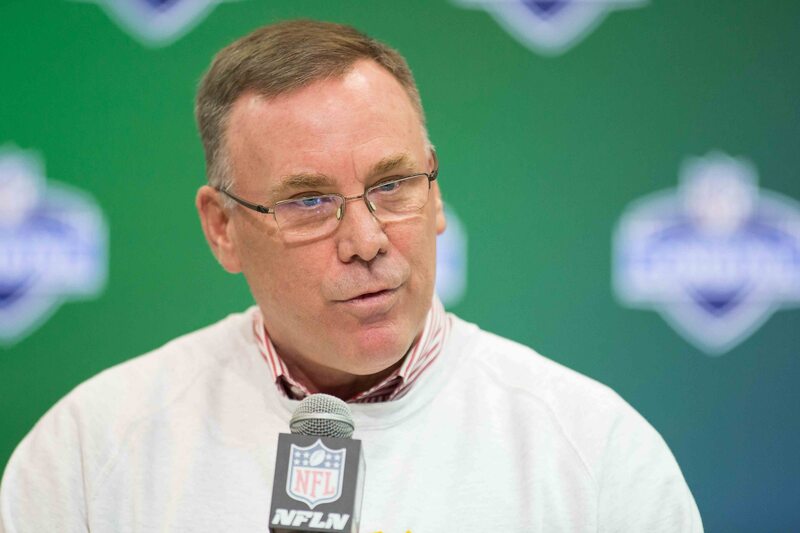 Having already yielded two second-round picks in 2018 and a second rounder in 2019, did the Jets even consider the possibility of exhausting more draft capital in a potential trade up with Cleveland to No. 1? We can’t be so sure. The issue at hand here is that New York isn’t exactly in position to get the one quarterback it covets. That has not worked out for other teams in the past.